In addition to the 15 single car Class 121 DMBS vehicles, 10 additional unpowered DTS vehicles were also built. 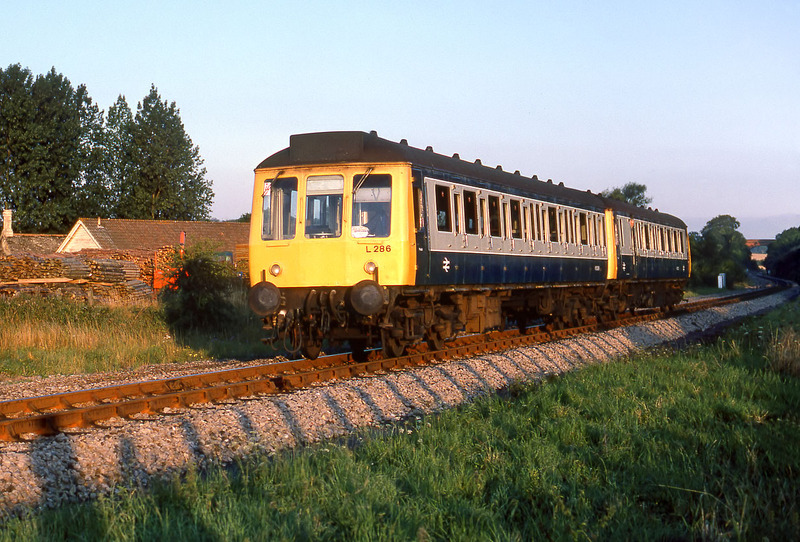 These were normally used with a Class 121 to form a two car unit, or as a spare vehicle for a Class 117 three car set. 54286 (L286) is seen here approaching Combe station on the Cotswold Line, being pushed by 55027 (L127) on 21 August 1982 whilst working the 2A73 06:10 Moreton-in-Marsh to Oxford local service. The very high occupation bridge in the background is Grintleyhill Bridge, while on the left the piles of timber are on the premises of the Blenheim Palace Estate timber mill and workshops.